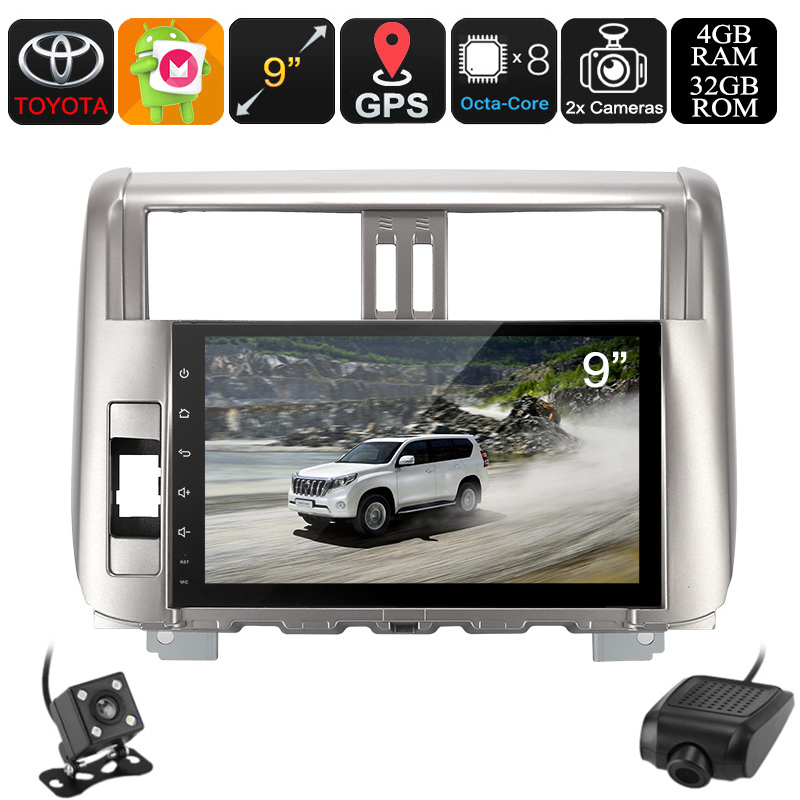 Successfully Added 1 DIN Car Stereo - For Land Cruiser Prado, Car DVR, Rear View Camera, GPS, Android 8.0.1, WiFi, 3G&4G 9-Inch Display, Bluetooth to your Shopping Cart. Enjoy the latest Android features from the dashboard of your car with this 1 DIN car stereo. Fit for the Land Cruiser Prado (Model 2010 – 2013), this car media player is sure to pimp up your ride. With its 9-Inch HD display, it allows passengers to enjoy countless hours of mobile entertainment while driving along in your car. Thanks to its WiFi support and 3G connectivity (dongle not included) you’ll be able to head to the Play Store and download all the media of your liking. Watch movies, play games, or simply browse the web. Nothing is impossible with this Android media player for in your car. This one DIN car stereo features a simple design which makes it easy to install. Once in place, you can undergo a smooth and lag-free user experience thanks to Android 8.0. With its Octa-Core processor and 4GB RAM, your car media player is guaranteed to meet all your basic entertainment demands. Besides watching movies and playing games, it naturally lets you listen to your favorite songs like any other regular car stereo. By supporting AM/FM frequencies as well as MP3, MP4, and Bluetooth – this car accessory brings along plenty of possibilities to enjoy your tracks. Through its four 45W speakers, it brings forth stunning audio quality at any given moment. What really sets this car media player apart from the rest is that it comes with a car DVR and rear parking camera. This cool car gadgets will significantly increase your overall driving experience and safety on the road. Additionally, it also features a 20-channel GPS navigation system that will lead you the way to your upcoming destinations. All you have to do is insert the Android map of your region, and you’ll be treated with accurate traffic information. From now on, you’ll always be able to reach your destination in the fastest and most efficient manner without needing to fear about getting lost on the way.